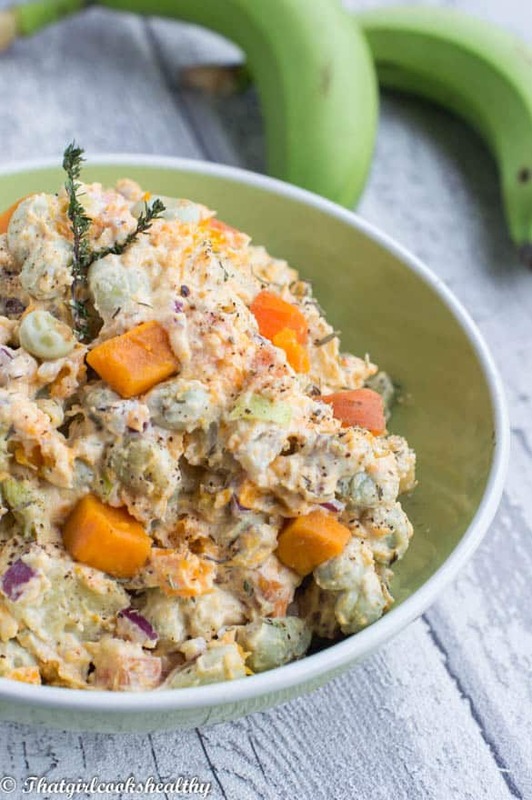 Green fig salad – A st Lucian inspired salad made from boiled green figs (green bananas) mixed together with vegetables and vegan mayonnaise. At last, we can finally enjoy some fresh salad with mayonnaise that’s free from eggs and preservatives. That sounds like a good way forward, don’t you think? Having flicked through some images of green fig salad on the internet I was trying to gauge some ideas on how to feed you through your eyes. Upon first impressions it looks like an unsightly mess but some of the most unappealing food tastes absolutely delicious, if you can bypass the appearance. I can’t be the only person who has noticed this bizarre correlation? Anyway, green figs are a St Lucian term for green bananas. 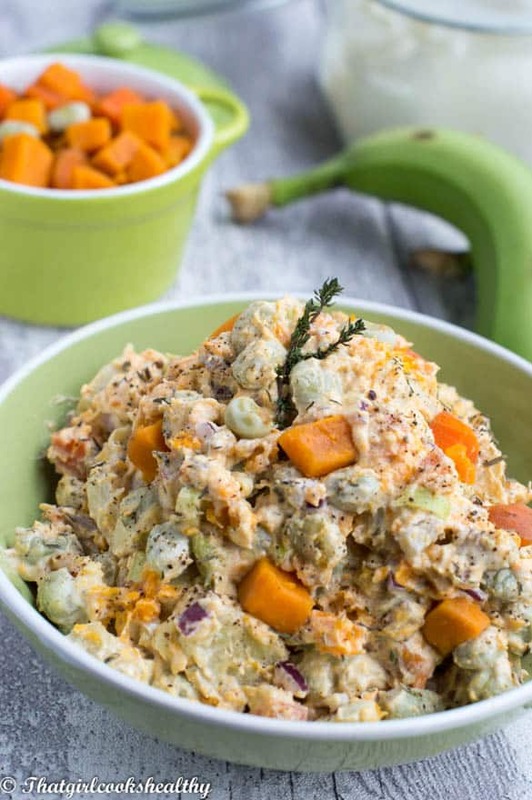 In the Caribbean we are huge advocates of eating unripen bananas, they are loaded with resistant starch which studies have proven to control blood sugar levels and suppress hunger. Aside from controlling glucose levels, green bananas contain plenty of starch, fibre and potassium, all of which are beneficial to the body. Another good thing about this salad is how minimalistic it is to put together, as well as how incredibly healthy all of the ingredients are. Keep in mind that my recipe is a rendition of a St Lucian Sunday salad, no codfish was used as this is a vegan version. Instead you will find an assortment of veggies – sweet red peppers, green figs, broad beans (can use peas), carrots, red onions and scallion. 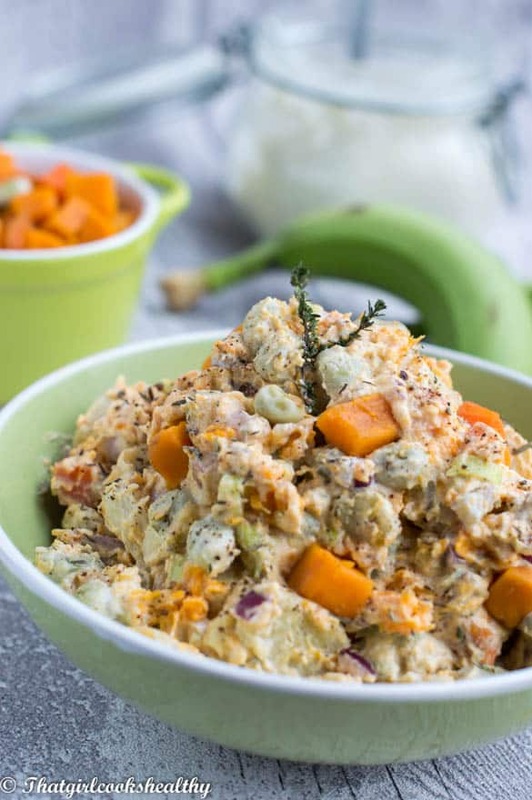 Mix with the homemade vegan mayo and this one is guaranteed to make a regular appearance along with your traditional Sunday dinner. If you’re new to boiling green bananas, no worries, don’t not fret as I have a post which will guide you through the cooking process. It talks about how to cook them using an easy, hassle free method. 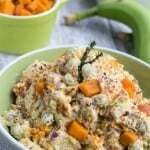 Believe me this method of cooking green bananas has helped me immensely and it will help you too if you’re unfamiliar with green bananas. The peas (I prefer broad beans) and carrot need to be boiled until tender. 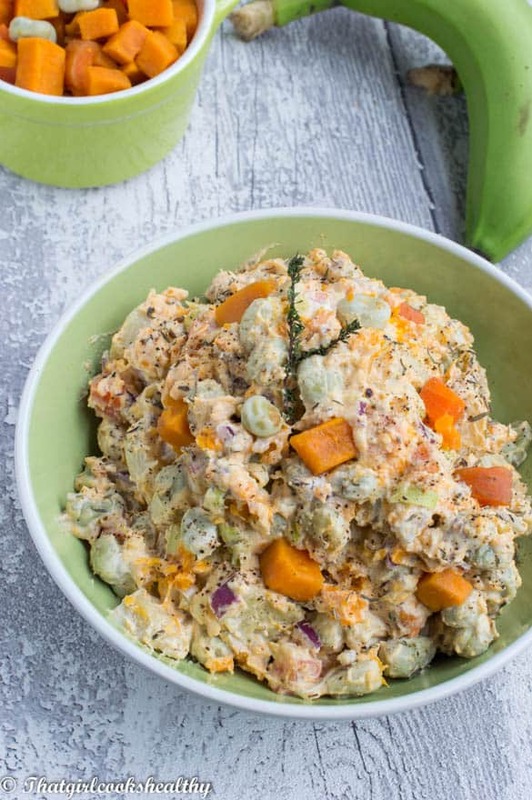 Once the figs, peas and carrots have boiled and cooled down, the only thing left to do is mix in the vegan mayonnaise with the rest of the herbs and spices then serve! You see it’s that easy! enjoy! Boil the carrot and beans/peas on high heat in a saucepan with some water until tender, drain off the excess water and set aside with the figs until completely cool. Once cool, arrange the figs, beans/peas, carrots and red peppers in a large bowl. Mix in the vegan mayo so everything is coated along with the red onions and scallion. Season with mustard powder, thyme, black pepper, garlic and salt to taste. When the desired taste is achieved, store in the refrigerator until ready to serve.